The uniqueness is that the M1 is all about versatility and flexibility, as it fits well in a variety of usage scenarios. Projectors tend to be fairly complex devices to set up and use. They are susceptible to heat and dust, you have to handle a lot of cables and wires snaking around the place and sometimes there are temporary stands and props to get it to angle properly on the wall. Then there is the whole matter of the audio, which quite frankly, even the most expensive projectors meant for homes are not able to handle properly—that means, you need to get around to installing a home theatre or soundbar speaker system. But they still retain consumer interest, because they can provide large projections too, and don’t cost as much as big screen TVs. Then there is the scenario when you want to carry it around to a friend’s place or shift it around in different rooms. 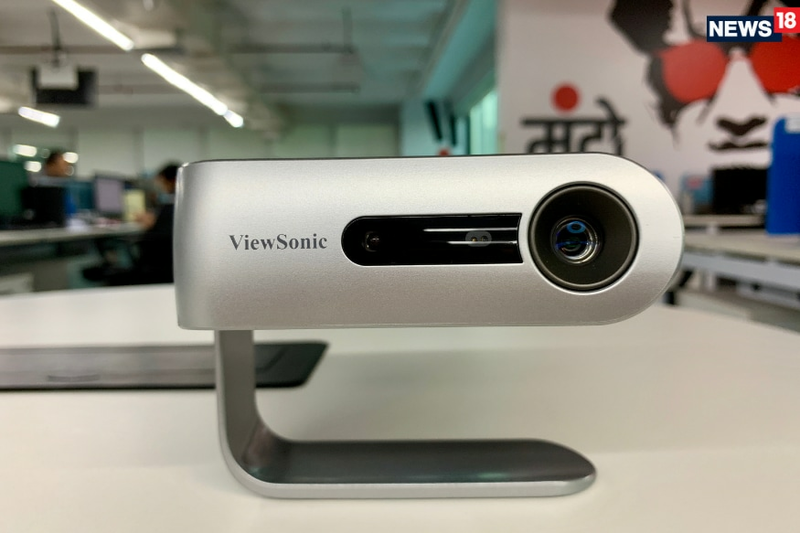 That is where ViewSonic’s M1 ultra-portable projector comes into the picture. 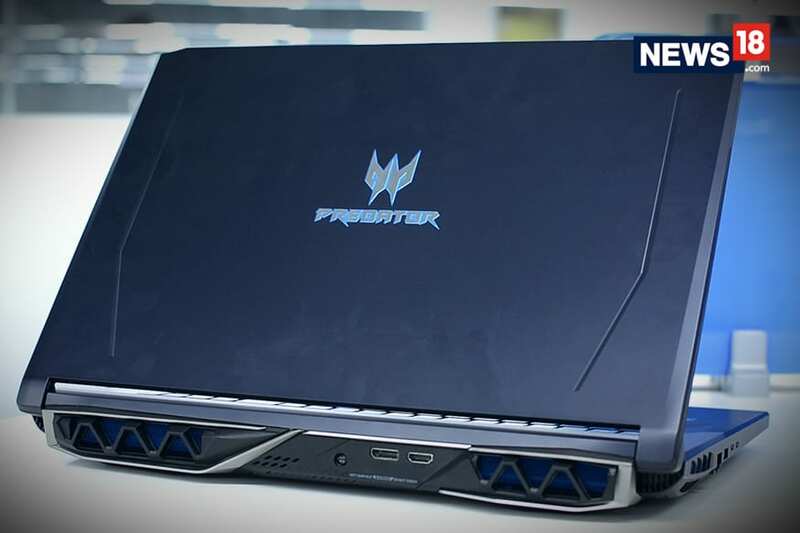 It is priced at around Rs49,000. True to its name, the ViewSonic M1 is compact, handy and easy to set up as well as install. The integrated stand is designed in such a way that when not in use, it can be used to protect the lens. The dual colour mix of silver and grey looks sophisticated, and should sit easily in your living room, bedroom or office. That is just the beginning of the M1’s versatility. The M1 has an HDMI 1.4 port, a MicroSD card slot, a USB port and even a USB type-C port. 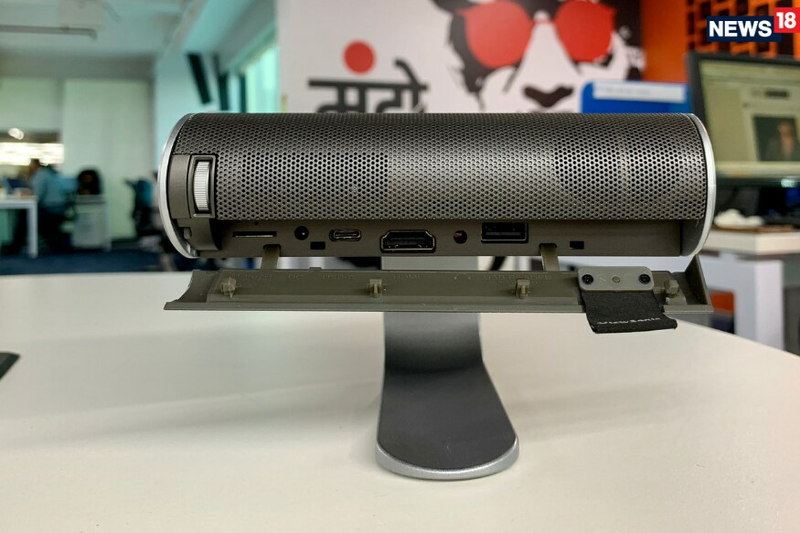 All this means that your Sony PlayStation, Microsoft Xbox, Amazon Fire TV Stick, a USB drive and even newer smartphones can be connected easily with the projector, for playing back content. This projector has an integrated battery as well, which can run up to 6 hours on a single charge. That means you can carry this around to your friend’s place for binge watching a new TV series, and not necessarily have to carry the power adapter too. There is also 16GB internal storage, for well, copying movies or videos that you want to watch. The ViewSonic M1 has a 854 x 480 resolution. this isn’t a lot, but then it is easy to forget the physical limitations of a genuinely small projector. The LED projection system is rated at 250 lumens, which isn’t very bright, and you’ll need to ensure a dark room for the best possible viewing experience. One potential issue with this resolution is that the projector will downscale your Full HD content sources (Fire TV Stick, for instance) and try to upscale your standard definition content (such as SD channels on DTH or cable). While we did not notice any distortions or artefacts as a result of the processing that the M1 does behind the scenes for the most part, but if the original content feed has any distortions or digital image noise visible, that will probably get accentuated here. The ViewSonic M1 attempts to solve one of the biggest shortcomings of projectors—the speakers. On paper, this will entice you with the promise of dual Harman Kardon speakers. And for the most part, it also delivers on the performance, with good vocals and fairly powerful sound. However, bass is still not its strongest point and apart from the most casual of viewing experiences, you’ll probably still crave for a separate speaker system while watching movies. But then again, the ViewSonic M1 isn’t exactly meant to be your home theatre projector, and that cannot be held against it. The uniqueness is that the M1 is all about versatility and flexibility, as it fits well in a variety of usage scenarios. This could be at home, in office and even while traveling. That is the sort of convenience that most other projectors do not provide. And your TV can only be relevant, if you hire two burly men to carry it around for you everywhere you go. The ViewSonic M1 isn’t meant to champion any one usage scenario, except being available at all times—and in that regard, the ViewSonic M1 does very well.